Today we are proud to release our first Free Premium Blogger Template “iThesis”. This is our 100th post so we are Releasing iThesis Theme For Blogger. This is simple, clean, seo optimized . 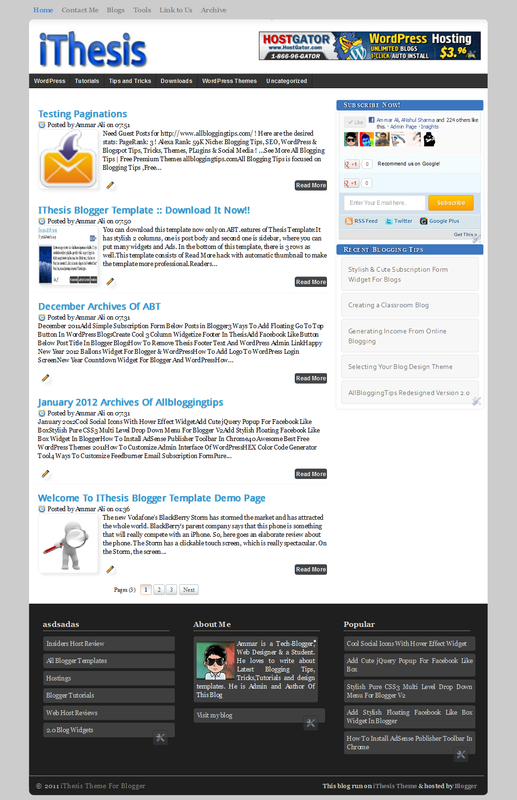 iThesis Blogger Template have 2 columns, where you can place many widgets and Ads. I offer resources to loyal subscribers only. You can download this template now just by liking our page or subscribing. This kind of Template is Usually for Premium sale.But i am giving it free for you guys and may not be redistributed or republished without having permission from AllBloggingtips. Kindly respect the several hours of effort placed in scripting this web template and giving it for free. The template includes a link back to AllBloggingTips Blog as a attribution.Do not ever try to remove it. Regarding to any infringement I will report that Blog URL to DMCA. The violator will probably be pushed aside as a reader and removed from the subscription list. Just kidding guys i won’t report to DMCA .I am no that much hard.It’s just a small footer link only no one is going to see this man then why you are removing. To customize your menu find below code and replace all links to your link and text is not that simple? I have also added a picture box, where you can add an image and link the image to any affiliate links. 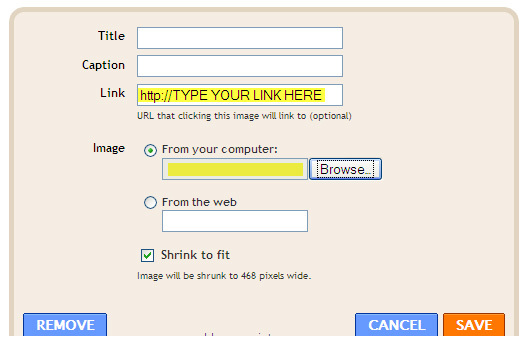 You can either upload image from your computer or you can link it from your web server. By default all the image will be shrink to 468 pixels wide. Now, you are ready to use this template! Enjoy the new Thesis Blogger Template. If you have any problem regarding this template, you are free to ask me. You can suggest me any thing that you are thinking to do new in this template. To customize threaded comment and reply option just find XXXXXXXXXXXXXXXX and replace it with your current blog ID. I’ll update this template with more new feature. Please subscribe to our feed using your Email address to get the new updated template direct to your inbox. Good work here sir. Does this template have an updated version that runs smoothly on blogger this 2019? 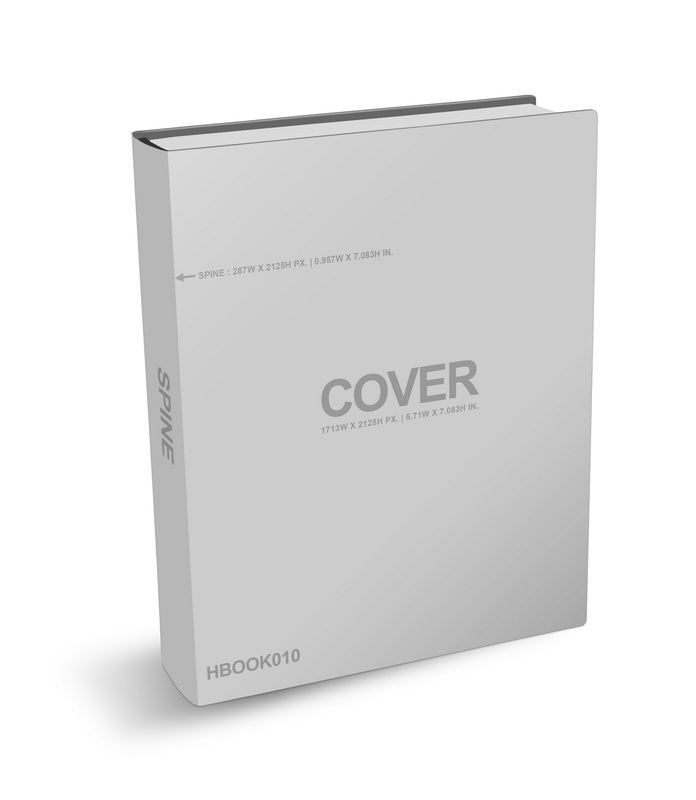 I’ll be glad to subscribe and get it. If it doesn’t, which one will you recommend? Hi Gabriel, Unfortunately this template do not have any update version. You may want to look around on blogger template sites to find new template. whats wrong i cant download the template,after subcribing and clicking on download it shows error 404…..whats wrong please???? Its a great Idea to widen your Blog Presence by giving away a Template by making one. I’ve tried it and its worth it. I think you should develop more Blogger Templates and showcase it on a sub domain of ABT like themes.allbloggingtips.com and you can also categorize between Premium and Free Templates. Check your inbox! :) and let me know if you’ve not received template! bro..how can i get the drop-down menu for this theme! I cannot use the drop menu for this! Completed the above steps now please send me the blog template. Buddy just enter your email address above and we will send you template to ur inbox! Please contact us through contact form of this website. We will get in touch with you! I had subscribe to your rss feed. Now send me template ithesis template. I had subscribe to your rss feed. Now please send me the template. Template sent :D Check your inbox! I had subscribe to your rss feed. Now send me template. Thanks. Amazing template….Good job :)) I had subscribe to your rss feed :) Send me too bro…..!! hey really nice theme, at first glance didn’t thought this was blogger but really nice work dude..! Kindly I send to me . Template sent to your inbox KEonz!! Neat theme. Good for Bloggers. I had subscribe to your rss feed. Now send me template. Ammar plz bring some image/wallpapers blogging templates i have also mailed you about this. Hey Daniyal. This is our first template we will release more template in future. Now i am interested to getting the template. To get this template make sure to subscribe to this blog..
Hey I have subscribed to your site,please can you send me this wonderful template? By the way what is the size of the file? Wonderful theme with clean design, will attract each and every bloggers. 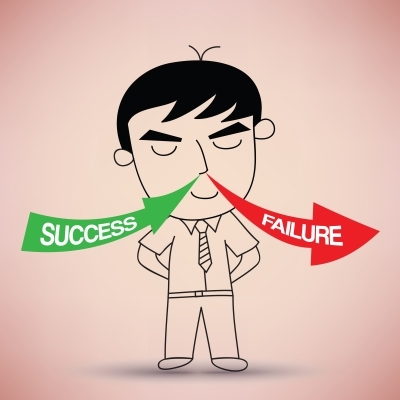 One suggestion is in the footer of the theme you’ve added “https://allbloggingtips.com” on link texts, instead of linking this, you can link “https://allbloggingtips.com/2012/03/23/releasing-ithesis-free-premium-blogger-template/” in order to ensure deep link juice. More over people who click this link will land to exact page and download this theme, thus you can get more E mail subscribers. 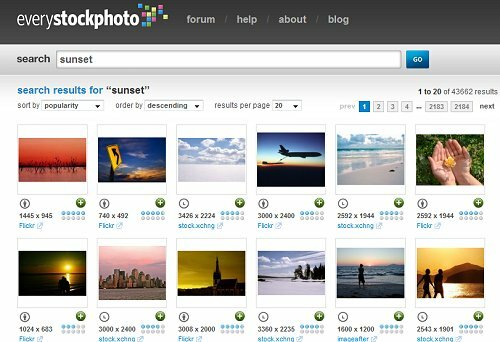 You can also register a separate domain and add the unique features of this theme with necessary screen shots would help you to get more downloads. Nice template Ammar . You have given the download link still want people to comment and u will send them the theme . Not familiar with blogger any limitation on direct downloaded template ? Template sent check your inbox..
awesome work dude,nice template.Your new template is also nice. Let me know if you still have any problem! Nice theme, great work.Will take a look at this one!! !